Drivers in Virginia can now chime in on a proposed toll increase for the Dulles Greenway. WASHINGTON — Drivers in Virginia can now chime in on a proposed toll increase for the Dulles Greenway. The public comment period comes as the State Corporation Commission decides whether or not to okay a request to raise tolls from the company that operates the toll road. Right now, riding the 14-mile stretch of highway from Leesburg, Virginia, through Mainline Plaza costs drivers $6.20 during rush hour and $5.30 at all other times. 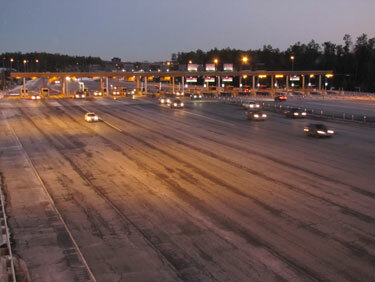 Toll Road Investors Partnership II, the company that runs the road, wants to raise the toll during the morning and afternoon rush by 15 cents. The company also wants to raise the off-peak rates by 10 cents. The road has been a point of contention in Loudoun County, which has launched a court battle over the price drivers must pay. Regular commuters right now can pay as much as $60 each week to use the road. The hike includes an annual increase of 2.8 percent in addition to toll increase if $0.0182, to make up for an increase in property taxes paid by the company. The company is allowed to raise the flat-rate tolls slightly each year through 2020. Public comments on the proposed toll increase will be accepted through Feb. 5, 2015. Make a public comment by clicking here.